interesting blog, cool cats ;-). 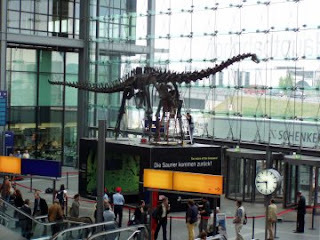 Just one request: if you're going to use my dinosaur photo, a link back is much appreciated :-). Kind regards and best of luck with the move - Berlin is definitely the place to be. Profuse apologies Penguin; I hope my edit rectifies my oversight. Feel free to drop me a line when you get here. The Penguin household is also graced by the presence of a feline creature, should you need any tips on learning cat-related German.